My Love For Makeup By Christina Curtin: Nails of the day! I love this turned out. 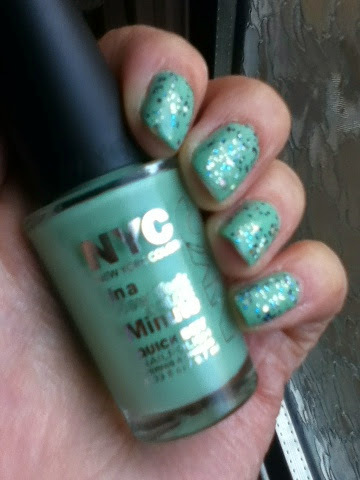 This beautiful green by NYC is called Cupcakes and Latte. I love how it only takes two light coats to get it opaque. 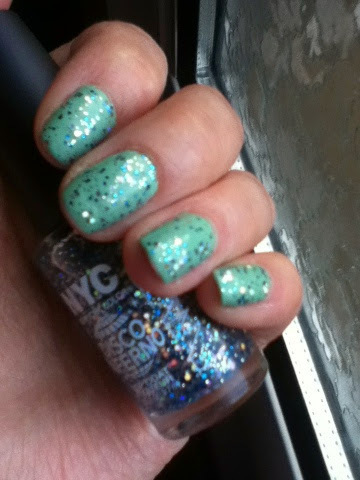 Since I need a new top coat I put this glitter topcoat Adlai from NYC it's called Disco Inferno. I have just the one coat. I think it's really nice!